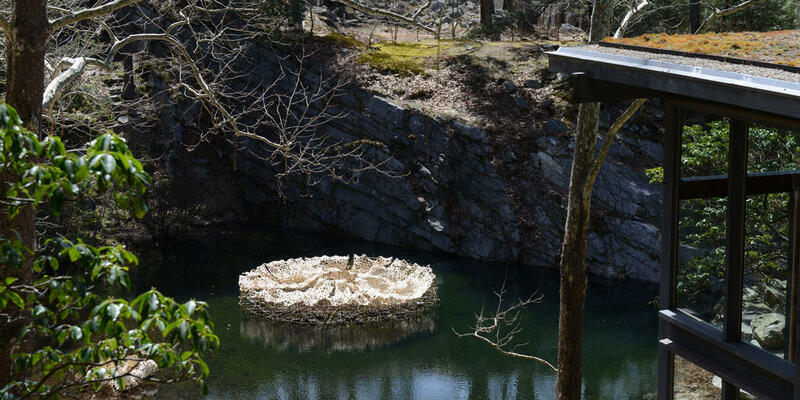 View of Stephen Talasnik's SANCTUARY in Manitoga's Quarry Pool. This Saturday there is a Members-Only Reception to launch of Stephen Talasnik's "Sanctuary." On Saturday, May 16th there will be a Sunset Tour of Manitoga at 5:30 led by architect and Manitoga board member Tom Krizmanic. Stephen Talasnik will lead two "Sanctuary" tours at Manitoga. One on May 30th, the second on October 17th. More information here.